When a homeowner loses his home to foreclosure, it can be a devastating blow. However, in some cases, the homeowner may think of the foreclosure as a new start. Unfortunately, for some homeowners, the loss of the home does not end their financial or legal problems. This is because in some cases, if the loan provider does not recover all the money outstanding on the loan in a foreclosure sale, the loan provider can choose to go after what is known as a deficiency judgment against the homeowner. 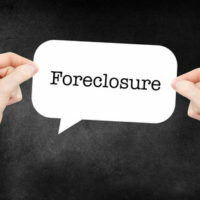 Because Pennsylvania is a judicial foreclosure state, a mortgage lender who wishes to foreclose on a home has to go to court and file a foreclosure proceeding. If the mortgage lender is successful in the foreclosure lawsuit, it is allowed to sell the home in order to get back the money the homeowner owes on the mortgage. The mortgage lender then sells the home, sometimes through a public auction, although the lender may sometimes purchase the home. The sale of the home does not always generate enough money to cover what the homeowner owes, and in those cases, the mortgage lender can make a decision to pursue a deficiency judgment against a homeowner. To get a deficiency judgment in Pennsylvania, the mortgage lender must file a lawsuit against the homeowner. The lender sues for the difference between the amount the home sells for, and the amount owed on the mortgage loan including costs and interest. In some cases, the lender may be required to show that the sale price was a fair market price when seeking a deficiency judgment. The mortgage lender is required to give the homeowner notice before filing for a deficiency judgment. Failure to give notice can be used as a defense against the deficiency lawsuit. The lender also has a limited time to file the lawsuit, and it is generally six months from the deed transfer to the new owner of the home. If the lender does not file for a deficiency judgment within the timeframe allowed, the failure to file in a timely manner can be used as a defense. When homeowners negotiate with mortgage lenders in order to do short sales or deed-in-lieu of foreclosures, they have to be careful and look out for the possibility of deficiency judgments. As part of the negotiations, homeowners should try and get the mortgage lender to affirm that the settlement reached fully satisfies the homeowner’s debt. This is one reason why homeowners should not sign any paperwork without having their own lawyer review it. An experienced lawyer can also handle the negotiations about the mortgage loan and modification, and ensure that the terms of any resulting agreement are in the homeowner’s best interest. If you are struggling with paying your mortgage, facing foreclosure, or in negotiations with your mortgage lender to modify your mortgage loan, contact Louis S. Schwartz and his team at ConsumerLaw Pa.com to speak to a Philadelphia foreclosure defense attorney. There may be other alternatives available to you to save your home or to avoid owing the bank money after a foreclosure.